An addon for Thaumcraft 4 and 5 (choose the correct download!) focused on providing flexible and interesting tools for automation and logistics, plus a few other fun thaumic gadgets. Please visit the MCF forum thread here. Comments and suggestions are welcome! do you have plans to update this to thaumcraft 6? I'm still planning on making a new version of Automagy but I have limited time and TC 6 is still in beta. For now, I'm waiting for TC to settle down a bit more, though I may dive in sooner if I find some time. I definitely will be waiting for the Thaumcraft 6 version of Automagy. I know it will be really well made. Can i use ur mod in my Sci_fi magik modpack? My modpack policy is found in my first post of the MCF thread. Yes, you can. 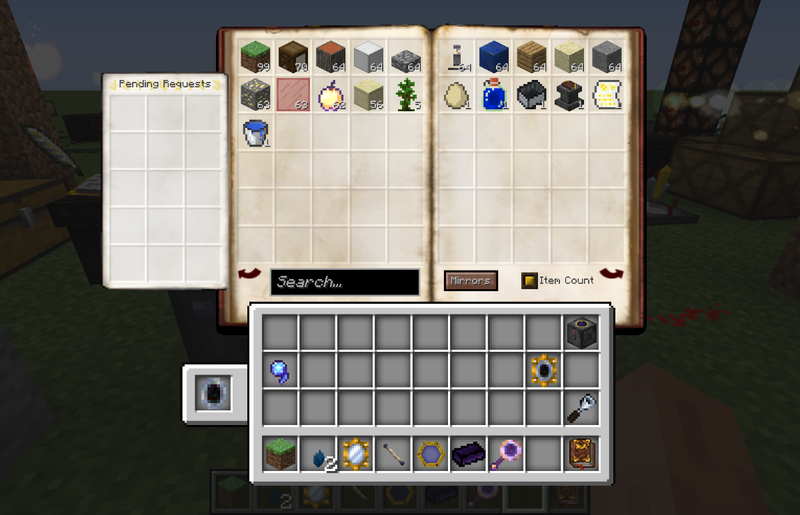 If your modpack will be released on CurseForge, which it should be, you can put any mod on CurseForge in your modpack. You don’t have to give credit or link to the mod, and you are allowed to make money off your modpack. CurseForge even has a rewards program that pays you sums depending on the number of downloads that your mod, modpack, etc., gets. There’s no reason to ask the mod author if you can use their mod in your modpack. Just go ahead. This is part of CurseForge’s policy—mod authors cannot deny you from using their mods in your modpack as long as both are on CurseForge. I've recently picked up Thaumcraft again after many years. And boy, this addon is so solid and well-designed. It deserved way more credit than it ever got. Even after all these years, I'm still impressed. Good work Tuhljin. Yeah, Automagy was one of those that took Thaumcraft to a whole other level while still keeping the "spirit" of Thaumcraft while remaining balanced. Felt like just a natural extension of the mod. Yay! Automated TC factories, up and running! Thank you! Yeah I dunno why it was removed in the latest version. It wasn't removed so much as never implemented. Automagy 2.x was intended to have that and many other features from the previous versions, but I stopped development due to lack of time and player trends which made me rethink my priorities. Looking foreword to a stable release! I'm unable to reproduce this issue. Perhaps there is a problem with WAWLA? It seems to be trying to get my bookshelf variants from an Air block instead of from my bookshelf block. If there's still something I need to look into, feel free to open a ticket about the problem.